Since the end of the 80s, starting from a small workshop in the historic centre of Piacenza, Davide Groppi has been creating and producing lamps for the eponymous brand. 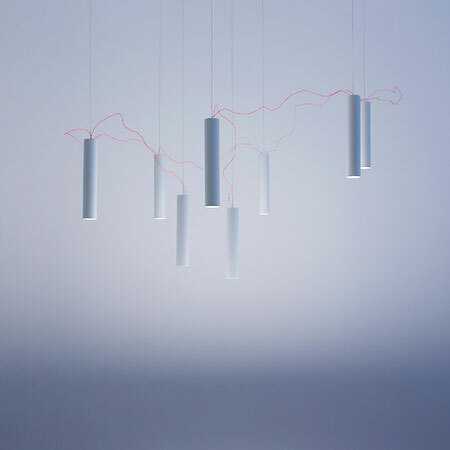 The keywords describing his lamps and his lighting projects are simplicity, lightness, emotion and invention. Winner of a double XIII ADI Compasso d’Oro in 2014 for the lamps Nulla and Sampei, Davide Groppi often draws inspiration from art, magic or simply from the desire to play with light. I think this is an important occasion for the city. Both from an economic and a cultural point of view. Design belongs to Milan. We should be more conscious of that. The whole world comes to see what we do. The fair is certainly an old, yet effective way to meet and get to know people coming from all over the world. In the city you have the possibility to tell new stories, at least to go more in depth. This time is a great pleasure for me because it is a week of “celebration”. Everyone gives their best. You meet lots of interesting people. Twenty years ago I had a very small place where I displayed just three lamps and then Ingo Maurer came to see them: it still moves me today. I certainly remember with nostalgia the time when De Padova, in 1994, exposed forty of my Baloo lamps in the store in Corso Venezia. That is where it all started. One of my favourite areas in Milan is Colonne di San Lorenzo. But I also like some old industrial areas that have now been incorporated into the city. I like all the world of making and hard-working. And there you can still find some special places. What is it that you shouldn’t miss at the 2016 Design Week? I am a bit egoist: our presentation at the Spazio Esperienze Davide Groppi in via Medici 13. It is a small exhibition called “Wireless is More”. We will present all our wireless, battery-powered projects, obviously interpreted from our view. It will be interesting and fun.